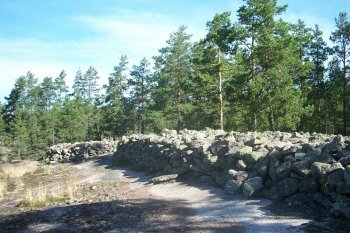 The Bronze Age Burial Site of Sammallahdenmäki consists of 33 stone cairns, dating mainly from the Bronze Age (1500-500 B.C.). 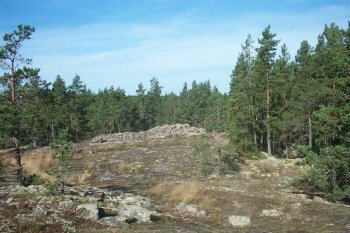 It is an extraordinary example of Finland's Bronze Age culture because it presents the ancient monuments in a well preserved natural environment. Two of the most spectacular cairns are the quadrangular "Chuch Floor" and the dike-like "Long Ruin of Huilu". In 2002, eight cairns were excavated, revealing burnt human bone. 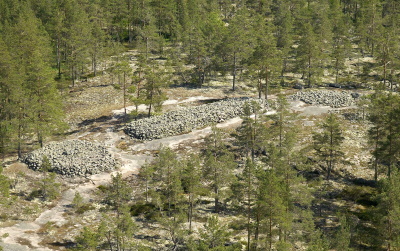 This indicates that the cairns contained cremation burials. The ICOMOS report on this site describes it as "spectacular in setting" and "remote". Sammallahdenmäki is well signposted from the major road between Tampere and Rauma. The number of visitors clearly has risen over the years, as there were "100 local schoolchildren" in 1999, and the guestbook now testifies some 10-20 visitors a day in summer. They come from all over the world, from the USA to China, to see this lonely place in Finland. It still is a quiet and atmospheric place though. Brochures in different languages are available from a self service box and free for use. There is no entrance fee. The cairns are spread out over a rather large area, a track through the woods guides you along. One can easily walk here for 1.5 hours. 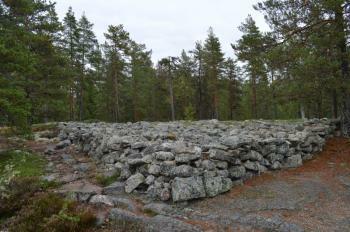 The stone cairns aren't the most impressive aspect of this WHS, it's the pristine nature that grabs you. 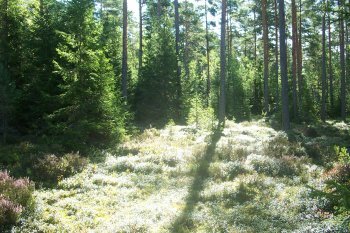 The pure smell, the quietness, the wild mushrooms and foremost the moss that covers large parts of this area. Also I found its high degree of authenticity (sometimes lacking in other WHS) very refreshing. This was our last site visit in Finland. We visited in the late afternoon after spending most of the day wandering around nearby Rauma, and only spent a couple of hours here. But that's really all you need to see the majority of the cairns. Call me a little uncultured, but ultimately, these are just piles of stones. The large rectangular-shaped cairn was interesting, though the intricacies of the others (spirals, cisterns etc) went largely unseen by my non-expert eye. We've been to quite a few other Bronze Age burial sites now, and this unfortunately is not one of my favourites. In September 2017, I rented a car in Turku to visit southwest Finland's World Heritage Sites. 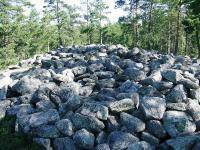 Early on a Tuesday morning, I found myself traipsing through a moss-covered forest floor and over granite boulders to locate some of the nearly 40 burial cairns, some of which date back more than three millennia, that make up the Sammallahdenmäki World Heritage Site. Needless to say, a Bronze Age burial ground is not as appealing as many World Heritage Sites, especially on a cold weekday, so I had the ancient forest to myself. It was a 4km walk from the bus stop in Lappi village along the road to Eurajoki to the site of Samallahdenmaki. But it was a fine day and there was little traffic so it was quite pleasant. It was very peaceful there as I had the site to myself, but others arrived as I was leaving to catch the bus back to Rauma. There are several groups of stone cairns, and I visited the 'Church Floor', a large mound of stones tightly compacted together. 3.0: Alexander Barabanov Tony H.
Passage of the Sun: The site is associated with sun worship rituals.